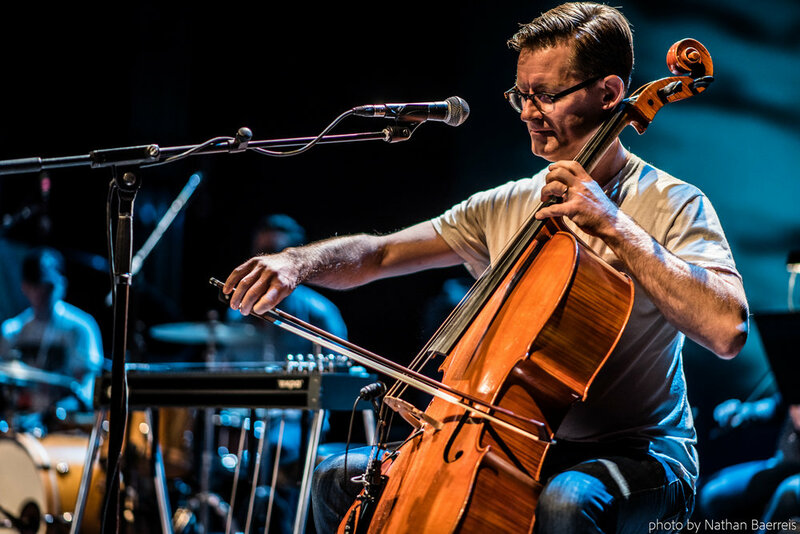 Ward Williams, a graduate of UNCSA Conservatory of Music (Bachelors of Music: Cello Performance), has over two decades of performance experience throughout the United States and abroad. A founding member of the band Jump, Little Children, Ward has also performed with Sara Bareilles, Norah Jones, Brandi Carlile, Howie Day, Brendan James, Frances Cone, Vienna Teng, Chris Mann, Elizabeth and the Catapult, Rachael Sage, God or Julie, Otis Taylor, Guster, Lucius, David Mead, Danica Dora, Mary Jennings and Tam Lin. Currently, you can find Ward subbing on cello for the hit broadway show Waitress (Cello/Guitar double) and Natasha, Pierre and the Great Comet of 1812. He also played in the orchestra for the rock musical Lizzie Borden (Cello/Guitar Double, and the DiCapo Opera’s production of Pagliacci. His work can be found on numerous recordings, such as Howie Day “Lanterns”, Rachael Sage “Blue Roses”, Mary Jennings “Metamorphosis”, Tam Lin “Garden in Flames” and “Medicine for a Ghost”. He has appeared on The Today Show with Sara Bareilles, Austin City Limits with Brandi Carlile, and The Rachael Ray Show with Brendan James. Alec Gross of Handsome Lady Records approached me to arrange several songs with strings for himself, Warren Malone, and Danica Dora. Here are some of the fruits of those labors. Very proud of all of these!